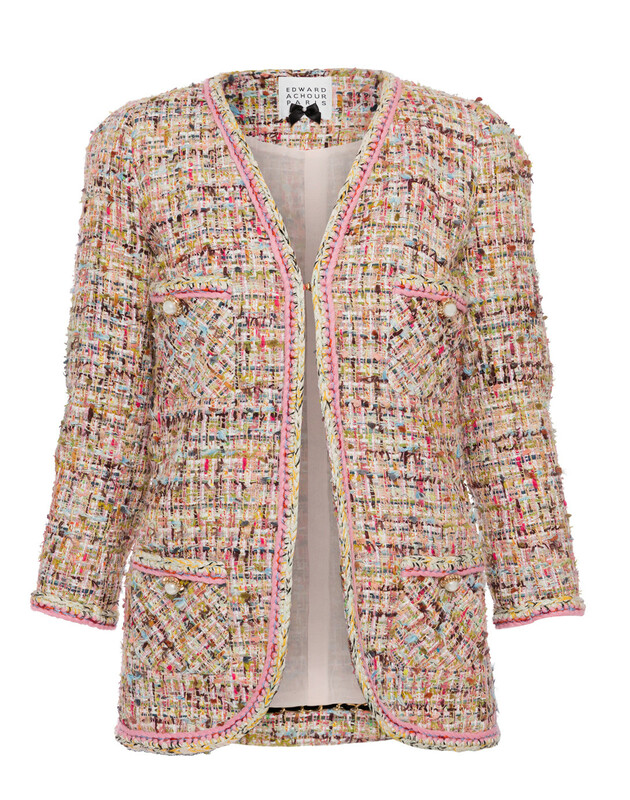 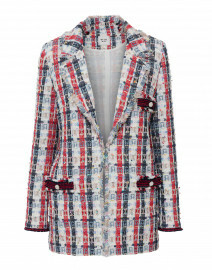 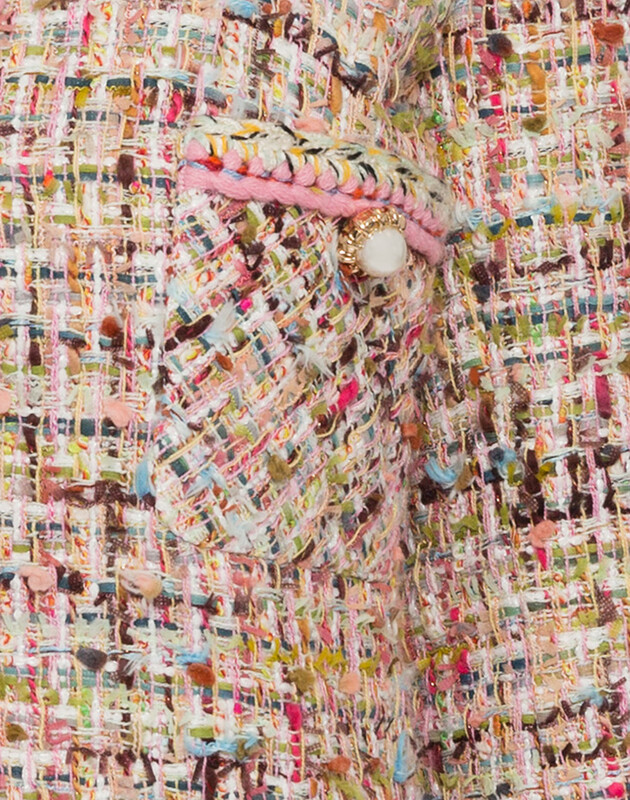 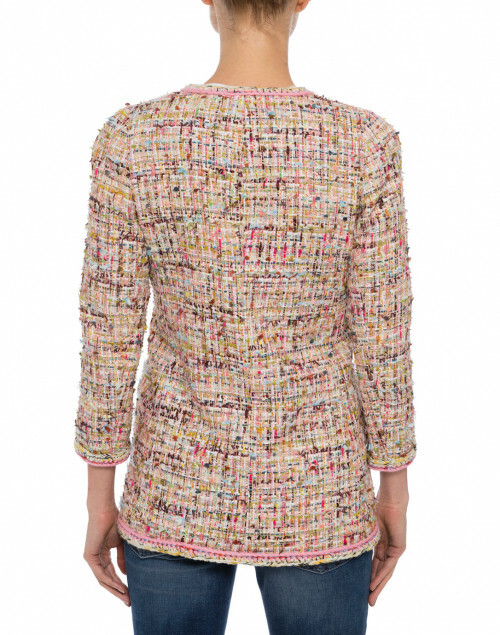 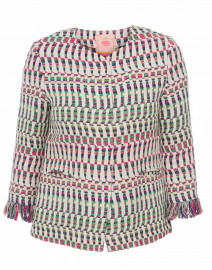 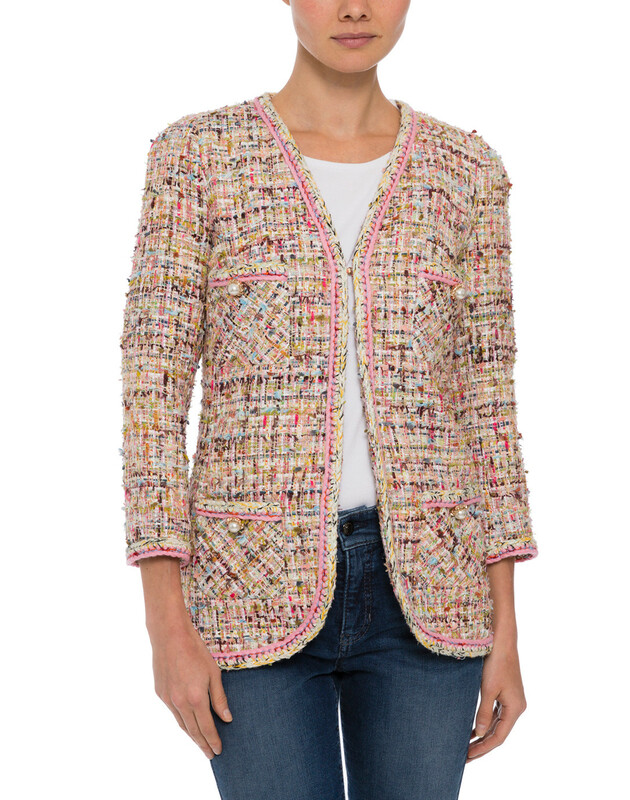 This multicolor tweed jacket resonates with Edward Achour's feminine French aesthetic. 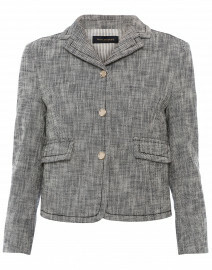 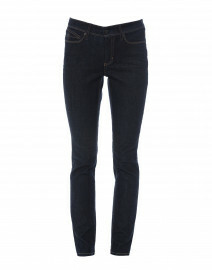 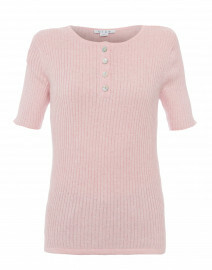 It's tailored to a slim silhouette with a 3/4 sleeves, and feature front pockets with signature pearl buttons. 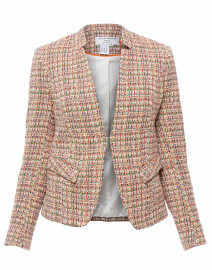 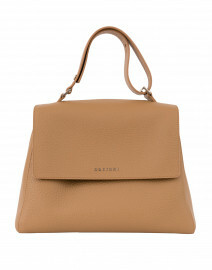 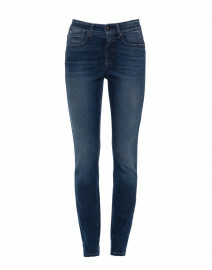 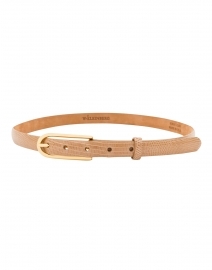 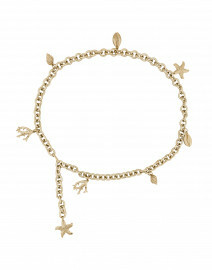 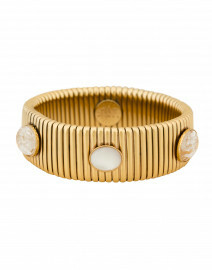 Pair it with slim jeans and a white top for a poised and sophisticated look. 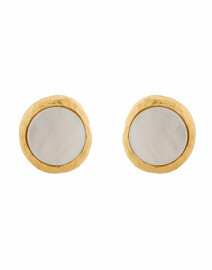 Bust 34" 36" 40" 42" 44"